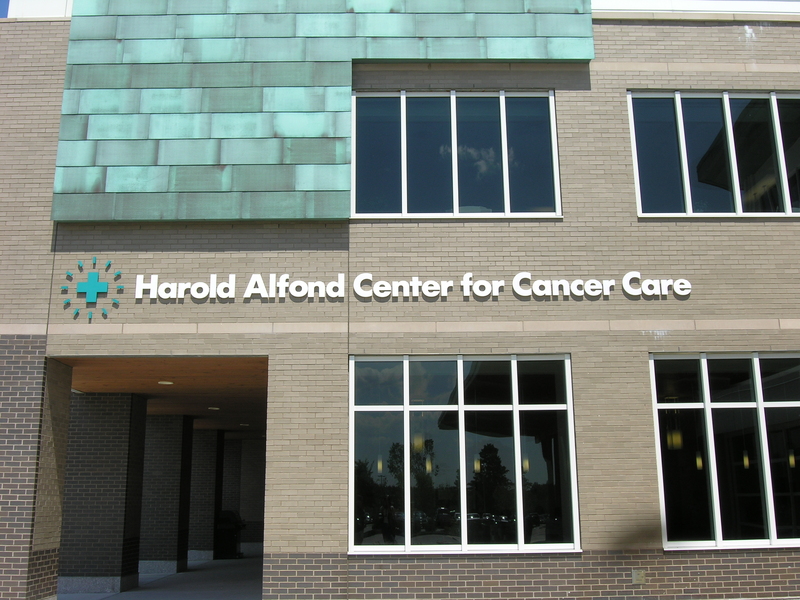 The Harold Alfond Center for Cancer in Augusta, Maine is a very special place. Once you arrive you immediately sense a feeling of healing; a relaxed positive energy in an environment of health and wellness. This sensation is the result of a beautifully designed atmosphere created by the masters at TRO, and the delightful staff that welcomes patients like family. Chris and I arrived early for our photo shoot of the StarTiles in the LINAC (Linear Accelerator) Room. We got to observe the atmosphere… the design, the surfaces, the lighting, the music, and the staff interact with patients as they arrive. 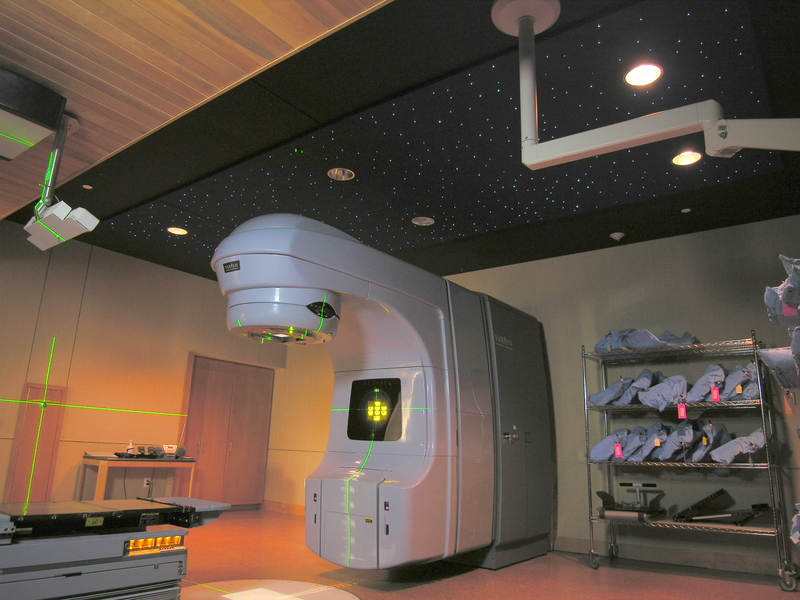 This magic atmosphere is special and it continued as we were escorted into the LINAC room. 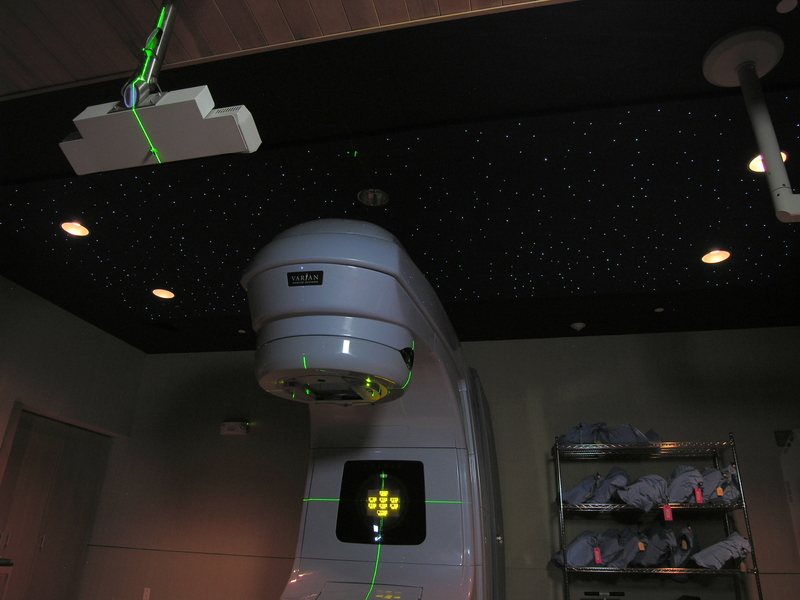 LINACs are rather intimidating machines that provide precise accurate beams of radiation directly to cancer tumors. For me personally I am thrilled to be a part of this experience. I lost my mom to a brain tumor in 2006. She did not get the advantages offered by this treatment, and I am thrilled to be a part of this center and its potential for saving lives. ~ by numinus on August 2, 2010. This entry was posted on August 2, 2010 at 6:17 am and is filed under Project Profiles.You can follow any responses to this entry through the RSS 2.0 feed.You can leave a response, or trackback from your own site. Next: A StarDome in the Cupola!